I think of the audience for the book as one of two basic types of people: people who suspect America is collapsing and need validation, and for people convinced America is collapsing and would like supporting evidence.What value does it provide for this audience? Hopefully the book will provide a kind of support or vindication. The message to them is: You’re not crazy; it’s the world. Because a lot of the time what makes us feel crazy isn’t what we’re feeling, but thinking that we’re the only ones feeling it. So in a curious way, I hope that the book will provide peace of mind. For those stressed about the possibility that America is collapsing, here’s some good news: You’re right!A lot of people might think it’s a crazy idea to consider that America is going to collapse. It shouldn’t be. The signs are everywhere, for anyone who cares to look. Although America refuses to openly consider that the country could possibly collapse, a growing number of people are actively preparing for it—not only “doomsday preppers” but also Silicon Valley billionaires who are investing in overseas escape properties. Respected economists openly discuss how our debt-based economic system can’t be sustained. Books such as Collapse make it very clear that America is following the same course as many doomed civilizations from the past.But somehow, the idea isn’t openly discussed. There seems to be a kind of taboo about openly considering the idea. Of course, it makes sense that people don’t really want to consider that the society they’re totally dependent on might collapse. Do parents really want to consider the possibility that they’re raising children to enter a doomed society?Yet somehow a lot of people broke through that taboo. For me personally, there’s a curious “disconnect” that can feel surreal. In my particular social circle, the idea of America collapsing is a no-brainer. When the topic comes up, the only question is about the timing—how much time have we got. Or what will be the trigger. But outside of that circle, I feel like I have to be careful who I bring up the topic with.Because they might think you’re crazy? Yes—that I’m some kind of “doomsday nut” or something. But over time I’m finding that a lot of people don’t find the idea crazy, but are afraid of breaking that taboo. I suppose that’s understandable, because lot of doomsayers really are crazy. Which is one reason why people resist talking about collapse, out of fear they’ll be seen as one of the crazy people carrying a sign saying “The End is Near.” As opposed to people concerned about collapse for entirely rational reasons.How did this book come about?My two previous satires explored environmental destruction and the growing embrace of stupidity. When I was considering what topic to write about, Donald Trump was campaigning for president. The rise of the alt-right and fascist rhetoric basically chose my topic for me.But the title of your book doesn’t even mention fascism.As I was considering how to approach the topic, it occurred to me that you can’t really understand fascism in isolation. Historically fascism has arisen as a response to social and political crisis. In the case of America, a main point of my book is that America is responsible for creating the crisis. 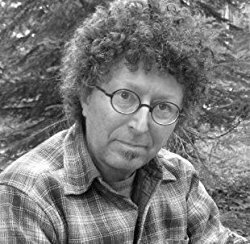 You can’t really understand the rise of fascism in America without understanding the overall decline of America.What makes your book unique?Instead of exploring America’s problems in isolation, it examines then together to show how they’re interrelated and self-reinforcing. In this way, the book is able to provide answers to a variety of questions, such as: Why is the cost of living rising, and will continue to rise? What will happen now that oil is beginning to run out? What are the effects of our addiction to economic growth? Why is the “dumbing down of America” turning into “America’s embrace of stupidity”?Why a “semi-fictional” book? That’s a very unusual approach. It’s a curious mix, combining fiction with non-fiction, but it’s the only way I could communicate my message. Basically, everything I write about that occurs up to the present is based on historical research. As the historical past transitions into the future, fiction takes over in portraying how this movement may unfold. This allows readers to clearly comprehend how America’s core assumptions have determined American history and will determine America’s future. It reveals that, as Lao Tzu put it, “If you do not change direction, you may end up where you are heading.”You could have written a straight non-fiction book. Why satire?There have been plenty of serious non-fiction books about everything I write about in the book. Such as the effects of environmental destruction. In the book Collapse, Jared Diamond made it extremely clear that civilizations that destroyed their environments did not survive. Yet what was the effect of that book?Let me guess. Nothing?That’s exactly right! You win this round and advance to the semi-finals. So we don’t need another “serious” book. From my point of view, all I could possibly contribute was satire. All I can hope is that satire communicates the message in a way that “serious” books cannot.Are you concerned that people will find the book depressing?This is one reason I think satire was the best approach. It can help us laugh at things that might otherwise cause us to sink in despair. It’s the reason that Stanley Kubrick’s Dr. Strangelove or: How I Learned to Stop Worrying and Love the Bomb was so important. The prospect of total nuclear war and the destruction of humanity should be depressing. But at a very critical time for a lot of people, that movie allowed people to laugh about it. 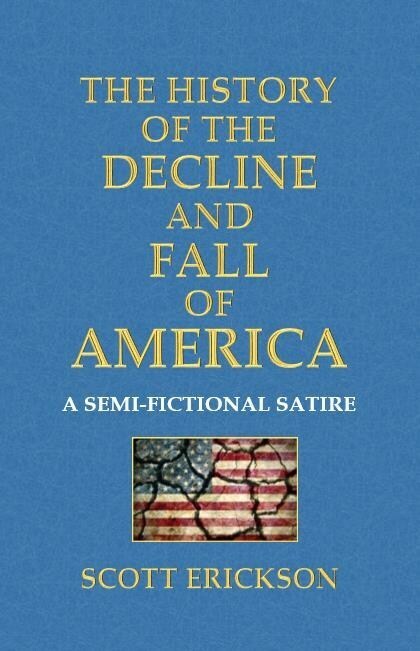 Hopefully my book will allow people to stop worrying and love America’s self-destruction. Don’t mourn the impending death of America, celebrate the glory of what’s left of America, while we can.